The traditional view of ad lib feeding is troughs full of feed so that the pigs have access to it all the time. Troughs are filled either automatically or twice per day. With the advent of ad lib liquid feeding, this type of ad lib created some problems in that the troughs were not well designed and the feed would become stale. If stockmanship was not as good as it should be, a whole trough-full of feed would be wasted, but, more importantly, the pigs would not eat it and this proved costly in terms of feed efficiencly, growth rate potential and health. Following on from customer feedback as well as HFS research and development, trials were set up to look into trough design to eradicate this problem. During the research, HFS developed a hard-wearing polypropylene trough that was fitted with a probe specifically built into it. The design incorporated such features as: complete access to all areas of the trough so that feed could not be left to go stale; preventative separation panels so that pigs could not physically get inside the trough and multi-purpose fixings so that the troughs could be fitted to partitions (single-sided), stand alone troughs that could be used anywhere in a pen (double-sided) or as partitions between pens (also double-sided). What was noticed during the research and development process was the effect of the probe on intakes. When the feed fell below the level of the probe, the HFS system pumped more feed into the trough. The noise this made activated the pig's natural curiosity and it was noticed that numbers of pigs were going to the trough and were eating. Trials indicated that intakes were increased considerably. HFS called this on demand feeding. Still referred to as ad-lib, this is not really the correct name as it implies that there is no ceiling to the quantity of feed delivered. 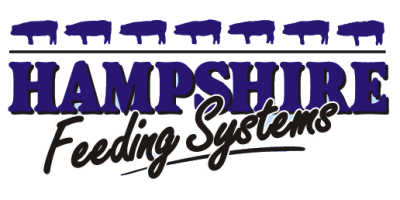 Ad lib systems from HFS are pig-demand systems, controlling the total amount of feed delivered to the stock by adhering to a feeding scale, similar to Hampshire restrict feeding systems. Feeding on pig-demand normally occurs during pre-set feeding durations (feeding windows) throughout the day, but this is not essential. Rations are delivered to the pigs on their demand when the trough is virtually empty. On demand feeding also prevents wastage as the trough is virtually empty before more feed is delivered. As feeding takes place over a longer time period than restrict feeding, one piece of equipment is generally focused on delivering one single ration. No reviews were found for Ad Lib - Feeding Systems. Be the first to review!